Inspired by the extraordinary characteristics of polar bear fur, lotus leaves and gecko feet, engineering researchers have developed a new way to make arrays of nanofibers that could bring us coatings that are sticky, repellant, insulating or light emitting, among other possibilities. 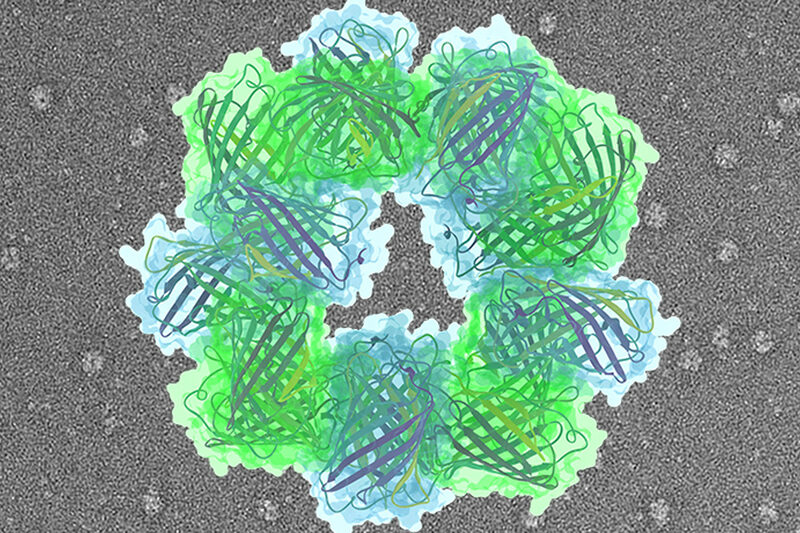 “This is so removed from anything I’ve ever seen that I would have thought it was impossible,” said Joerg Lahann, a professor of chemical engineering at the University of Michigan and senior author of the study in the journal Science. 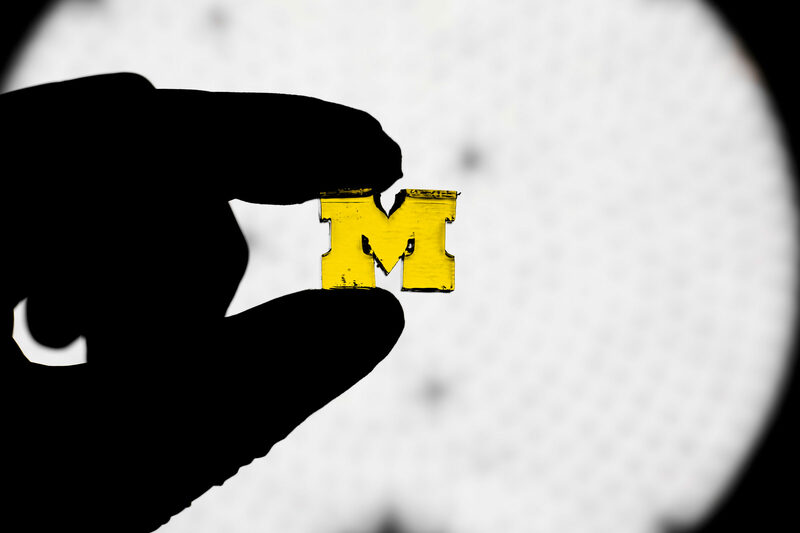 Researchers at U-M and the University of Wisconsin-Madison made the somewhat serendipitous discovery, which revealed a new and powerful method for making arrays of fibers that are hundreds of times thinner than a human hair. Polar bear hairs are structured to let light in while keeping heat from escaping. 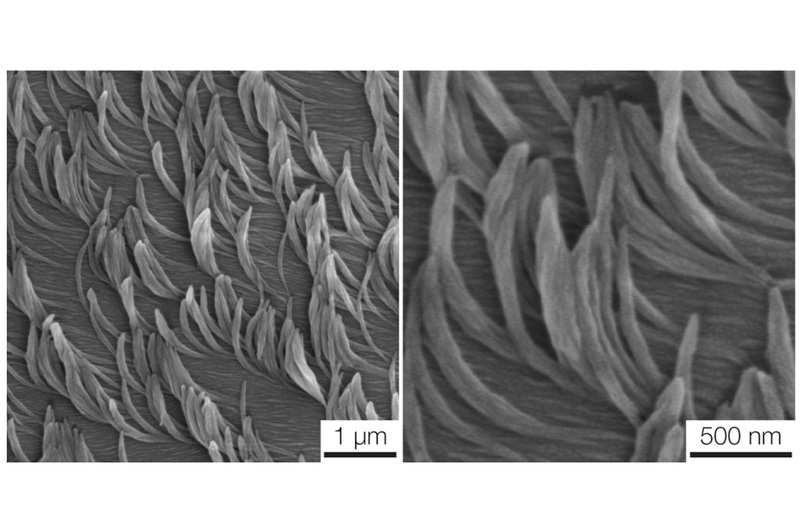 Water-repelling lotus leaves are coated with arrays of microscopic waxy tubules. And the nanoscale hairs on the bottoms of gravity-defying gecko feet get so close to other surfaces that atomic forces of attraction come into play. Researchers looking to mimic these superpowers and more have needed a way to create the minuscule arrays that do the work. 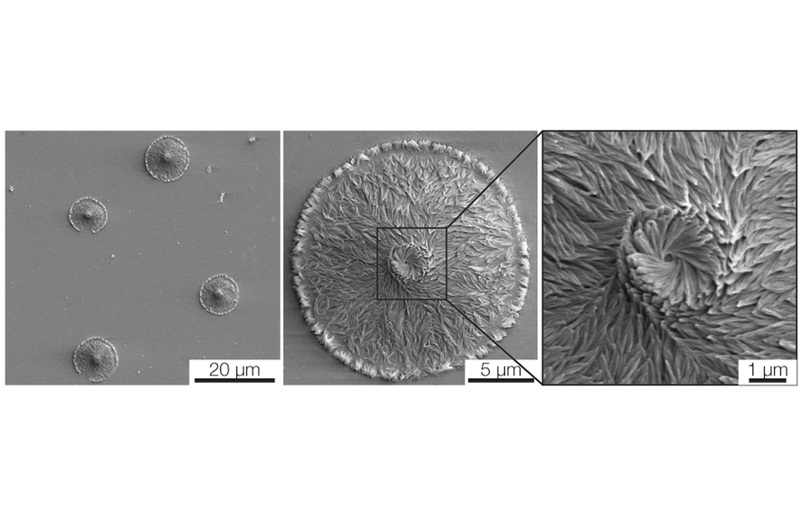 “Fundamentally, this is a completely different way of making nanofiber arrays,” said Lahann. 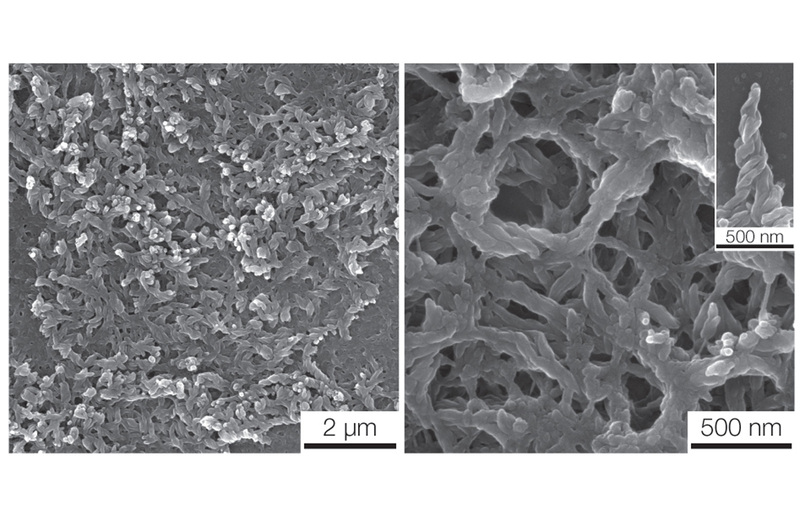 The researchers have shown that their nanofibers repelled water like lotus leaves. 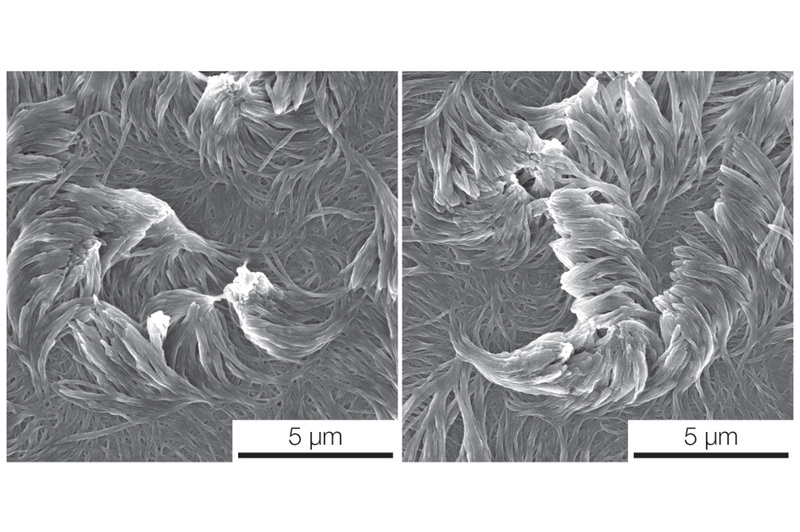 They grew straight and curved fibers and tested how they stuck together like Velcro—finding that clockwise and counter-clockwise twisted fibers knitted together more tightly than two arrays of straight fibers. They also experimented with optical properties, making a material that glowed. They believe it will be possible to make a structure that works like polar bear fur, with individual fibers structured to channel light. But molecular carpets weren’t the original plan. 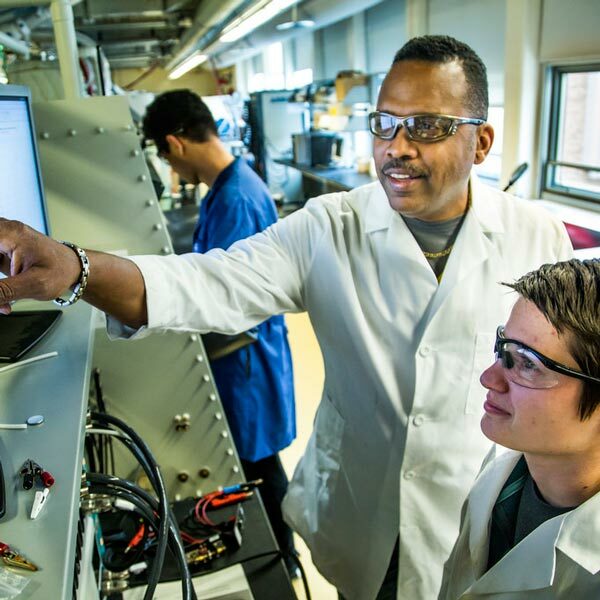 Lahann’s group was working with that of Nicholas Abbott, at the time a professor of chemical engineering at UW-Madison, to put thin films of chain-like molecules, called polymers, on top of liquid crystals. Liquid crystals are best known for their use in displays such as televisions and computer screens. They were trying to make sensors that could detect single molecules. Lahann brought the expertise in producing thin films while Abbott led the design and production of the liquid crystals. In typical experiments, Lahann’s group evaporates single links in the chain and coaxes them to condense onto surfaces. But the thin polymer films sometimes didn’t materialize as expected. Instead of coating the top of the liquid crystal, the links slipped into the fluid and connected with each other on the glass slide. The liquid crystal then guided the shapes of the nanofibers growing up from the bottom, creating nanoscale carpets. 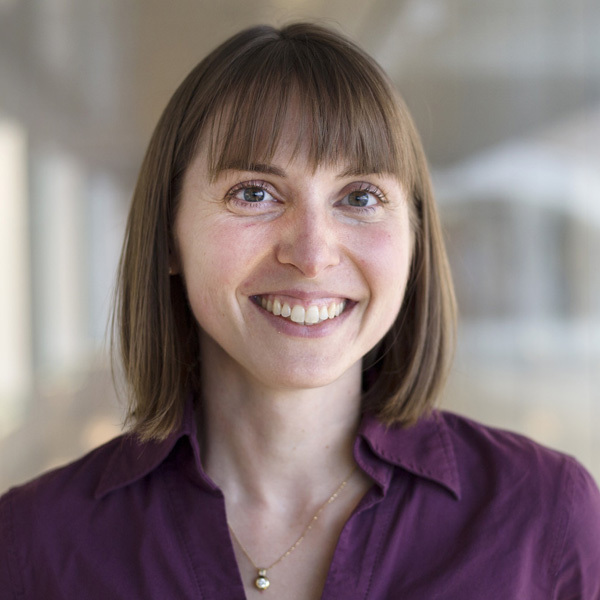 “A liquid crystal is a relatively disordered fluid, yet it can template the formation of nanofibers with remarkably well-defined lengths and diameters,” Abbott observed. In video on the left, the water beads up neatly - this surface is merely hydrophobic. In the video on the right, the water immediately flees the surface - it's superhydrophobic. And they didn’t only make straight strands. Depending on the liquid crystal, they could generate curved fibers, like microscopic bananas or staircases. The research was supported by the Army Research Office. 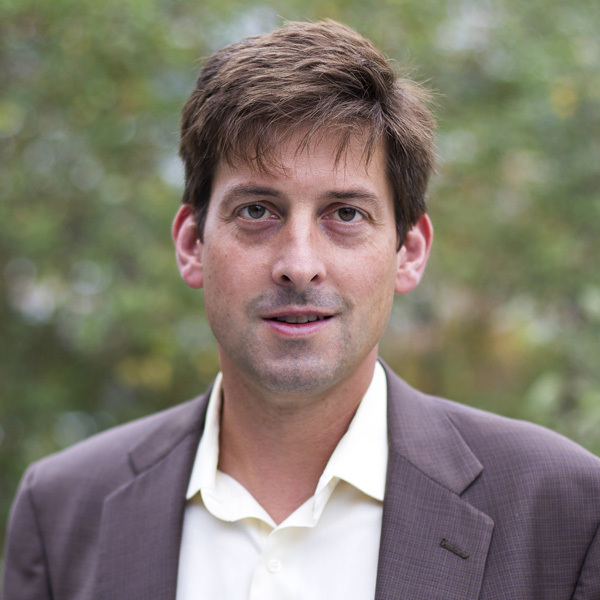 Lahann is also director of the Biointerfaces Institute, a professor of materials science and engineering, a professor of biomedical engineering, and a professor of macromolecular science and engineering. Abbott is now the Tisch University Professor and a professor of chemical and biomolecular engineering at Cornell University.